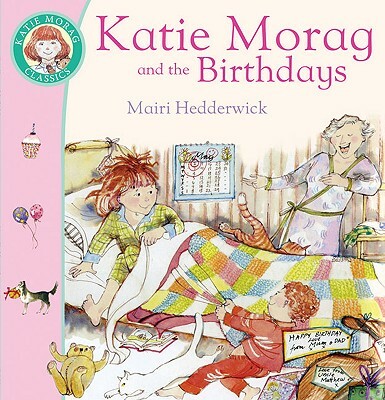 Katie Morag is desperate for it to be her birthday, but as she soon discovers, there are plenty of other birthdays to be celebrated on Struay both before and after hers. Join Katie Morag and friends for a year on Struay. Celebrate Neilly Beag’s birthday with a celidah and a jig, Liam’s with an April Fool’s joke, the Big Boy Cousins with a huge BBQ at the Old Castle, and Katie Morag and her Two Grandmothers with a posh dinner at the Bistro.